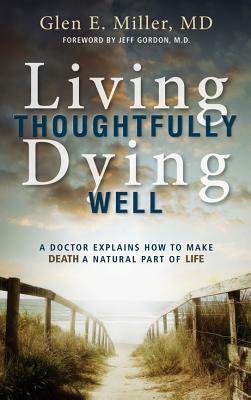 Living Thoughtfully, Dying Well – Glen E. Miller, M.D. Everybody, says an experienced doctor, deserves a good death – not a prolonged misery made into a nightmare by draconian medical interventions. The key to avoid the nightmare is careful planning. 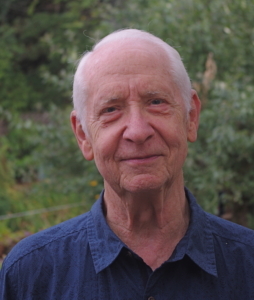 Doctor Glen Miller, who has had his own heart scares, decided to write a book about it, because few people think ahead about death, and yet, they’d be wise to do so. The way we die has changed. Thanks to advances in medical technology and hospital processes that seem all but unstoppable once begun, it’s difficult in North America to die simply. Seventy five years ago, says Miller, most people “just up and died.” But today, “it’s a process”. The doctor-author knows the reality of modern medical treatment as a result of his decades of medical practice. But he also knows from personal experience how the system plays out; he has survived cardiac arrest. To expect that this might be a book of practical, helpful tips is not unreasonable, and he does not disappoint. Severe medical conditions often affect the ability to think, rendering a patient incapable of making a rational decision about treatment options. Families want to do the best thing for their loved ones, but often respond in fear. No one at such a time wants to make a mistake they’ll regret. Hospitals have procedures that often require instant decision making, and so it’s the wrong place for loved ones to hear treatment options – let alone to give thoughtful consideration to what their family member wants, or to think through what the probable outcomes of an option might be. If death is imminent, decisions in a hospital tend to be referred ‘up the ladder’ to specialists who by the nature of their work will have a narrower view of what’s needed than, say, one’s family doctor, a general practitioner who is more aware of the patient’s wishes. That can leave family members cut out of the loop by hospital protocols covering imminent death. A patient who has not planned adequately and consulted with their loved ones, has not taken time to wrestle with an obvious reality: if the patient is about to die, clearly in the terminal stage of their illness, any decision on further treatment is only a postponement of death. It is not a ‘fix’. It is difficult to stop advancing hospital protocols that become a “one way street”, that do not reverse a critical condition but only prolong it or create new problems that most frequently add further complications while solving nothing. On the last point, Miller says many nurses leave their profession because they have watched patients receive “too much care”. The cost of aggressive treatments in hopelessly terminal cases can be pain, loss of dignity, and (thankfully not so much in Canada) crippling expense. It’s not just hard on the family; the poor patient must suffer more, for longer! Miller cites a published article by a nurse, Theresa Brown, who maintains that giving continued, aggressive care to a patient when further treatment is clearly futile produces “moral distress” (hopelessness, anxiety and fatigue) in the nurse, too. She estimates this situation may be at least partly responsible for up to a quarter of the nurses who permanently leave their profession. Start by making a list of “Advance Directives”, says the author. And if possible, do it when you are still well. It is much more difficult to do significant advance planning when you are ill or when you are wrestling with the news that your malady will end your life. Miller devotes a full chapter and an appendix to Advance Directives. He also mentions the process frequently, with accompanying stories of success and distress, in other sections of the book. Sobering though the topic may be, it is a key take-away point from this book. “Advance directives provide for medical care if the patient is unable to participate in making decisions,” Miller says. “Advance planning will make more certain that the patient’s medical care is appropriate, decreasing the possibility of over- or under-treatment– and consistent with the patient’s wishes”. Be very clear on the limits of intervention that you want doctors to observe, he advises. That includes things like ‘assisted ventilation’, CPR, tube feedings and other measures. Speaking of talking with loved ones, Miller tells sad stories of patients who did have a plan, but in the midst of a medical crisis, the family forgot all about the existence of the plan and made judgment calls that didn’t match what the patient wanted. So, he suggests, review the Advance Directives at least once a year with family, and review it again at the time of any medical crisis. Ensure that each family member has a copy. Ensure that everyone knows where the original copies are kept. Let your family doctor know, along with your lawyer, pastor, and (at the time) the hospital. Make sure DNR (“do not resuscitate”) wishes are known and make certain your doctor has that information on file. Making a decision like this is increasingly important as you age. If a patient is hospitalized, even for a relatively routine treatment like clearing up pneumonia, the game changes. “It’s a new arena…where the doctor becomes the powerful figure.” Before you know it, the street clothes are replaced by the hospital gown and all the rules have changed.. When the patient is eldertly, it’s little wonder that the simple experience of being hospitalized can bring on confusion. A study of 1300 hospital patients shows that the rate of cognitive impairment, both in hospital and when coming home, doubles when the patient is older than 65. Miller contends it is easier to plan for a good death when you can identify, and accept, what’s going to kill you. It may be a terminal heart, cancer, progressive neurological or lung degradation, or any other one-way street. But, he says, discovering its identity and accepting the inevitable outcome, ironically, can help to give one a sense of control. That’s because what is known about your disease’s typical progress can provide a basis to plan. What issues need to be revisited? What is best for your loved ones? Miller says you can become self-absorbed in your own fate, or you can face what’s going to happen, plan a good death, and leave a good legacy for your loved ones. Identifying what is killing you becomes a time to re-examine you relationship with God, to rethink your relationships with your neighbors, your friends, and people close to you. Good and close communication among members of your family forms an important piece of this sequence; it is a time to be grateful for each day you are given and approach it with an attitude of appreciation. While the very subject of Miller’s book seems morbid, it’s worthwhile reading because its topic is so inevitably going to be germane. It’s a practical book, discussing pros and cons of various treatments, and listing what’s important to do before you are staring death in the face. One might say the topic is inescapable. So, if everyone deserves a good death, do plan for one.